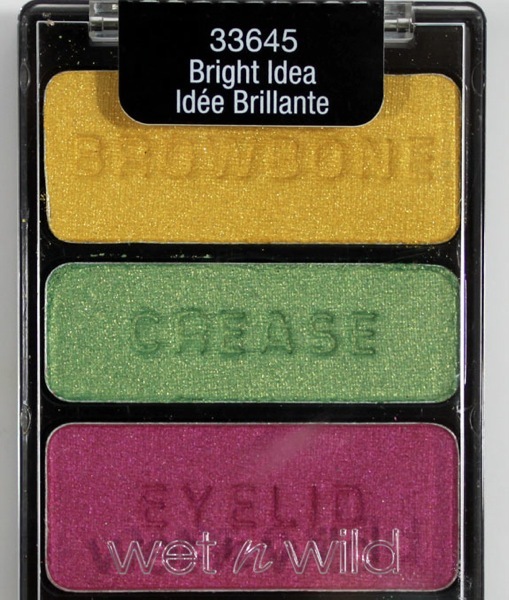 Attention Wet n Wild aficionados, lovers and obsessive collectors! There is a new limited edition collection coming out to stores soon called Dream Weavers which features six new Color Icon Eyeshadow Trios! 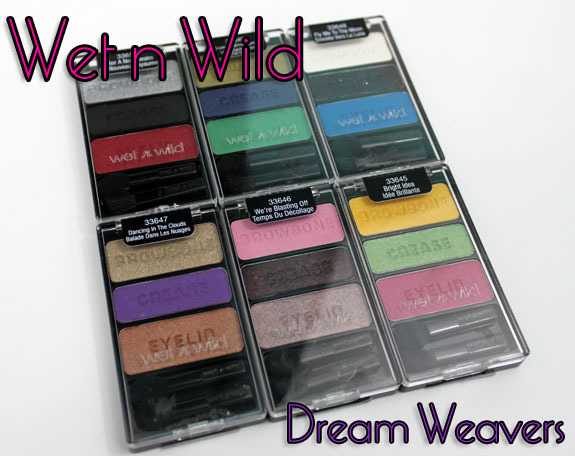 Once again I think Wet n Wild created a collection that people are going to be fawning over. There are brights, darks and neutrals and they are all SO worth the price. 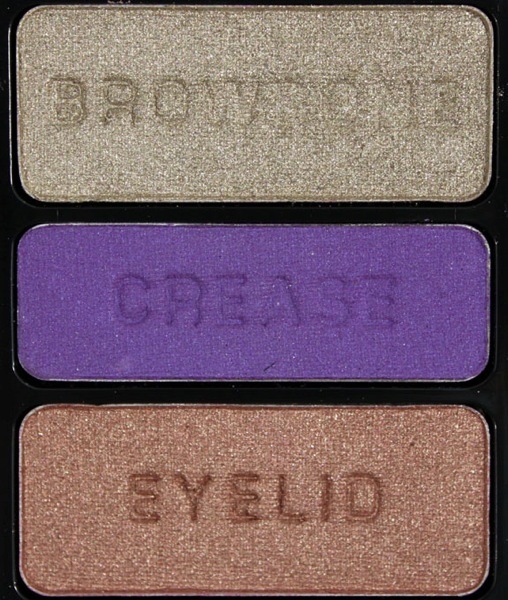 These Color Icon Eyeshadows Trios feature 30% more pigment and pearl than their past ones, so yay for that!! Bright Idea includes a vivid warm yellow, a medium green with slight yellow flash and a medium bright fuchsia pink. All of these were really nicely pigmented and felt super soft. Love the bright color combo of this one! 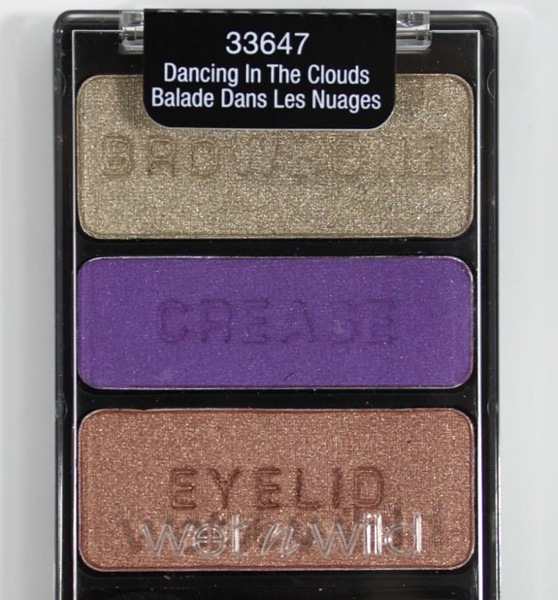 Dancing In The Clouds features a taupe gold metallic, a medium royal purple with blue flash and a metallic rose-gold. 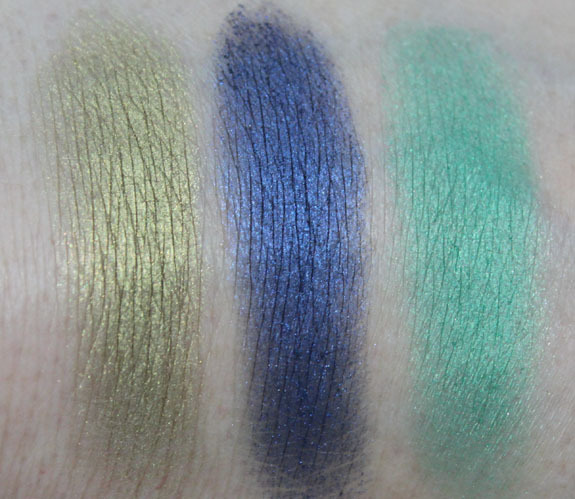 The two metallics were extremely pigmented and SO gorgeous. The purple was a little less pigmented but still a very pretty color. I love the combination of these colors together. 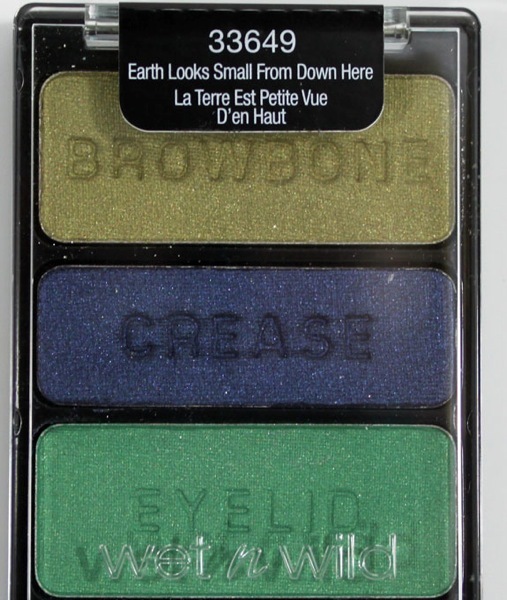 Earth Looks Small From Down Here features a medium olive green, a deep navy blue and a medium grass green. The olive green is beautiful and I love it especially paired next to the blue. The blue was very soft and saturated. 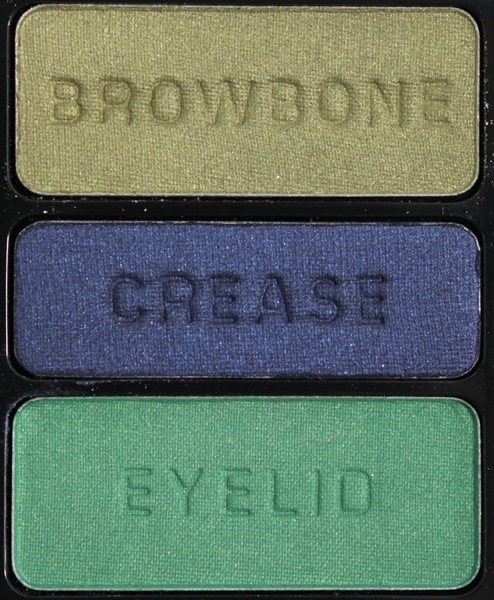 Love the grass green as well, but it was perhaps not quite as pigmented as the other two. 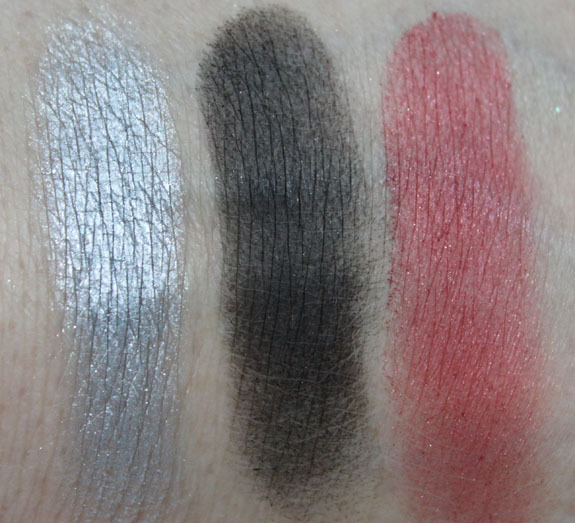 Enter A New Realm includes a bright metallic silver, a black with subtle glitter and a red with red glitter. What could be wrong with this color combo? Nothing! Love it. 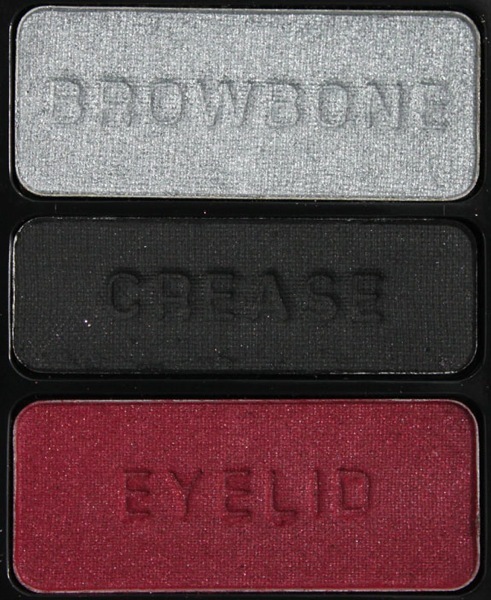 The black and red weren’t quite as soft or pigmented as most of the other palettes. The silver was super pigmented. Fly Me To The Moon includes a silvery white, black with lots of silver glitter and a bright blue. While the white was fairly pigmented, the black I had issues with. In the pan there looked to be tons and tons of silver glitter, but on the skin not as much shows up. It’s also a bit gritty feeling and a little chalky. 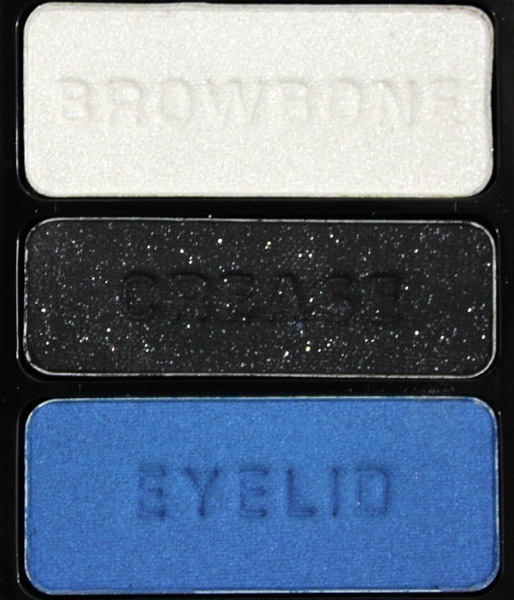 The blue is gorgeous and great pigmentation. This was probably my least favorite one. We’re Blasting Off features a pale baby doll pink, a black with pink glitter and a mauve/pink. I fully expected this baby pink to be chalky and barely show but it’s actually really soft and nice! The black is the best black of all of these. It’s pigmented and shows loads of pink glitter. The mauve color is metallic looking and super soft as well. I love these! I’ve said it before a million times by now, but I am more and more impressed with Wet n Wild with each collection they put out. To me these are the perfect little palettes to collect since they are fun, work well together and great payoff for the price. My personal favs here are Dancing In The Clouds, Earth Looks Small From Down Here, Bright Idea and We’re Blasting Off. Availability: Mid-July for a limited time only! Which are your favorites? Are you psyched about this collection? Bright Idea has such a fun, summery colour combination. I’m really impressed by the colour payoff of most of these. Considering how inexpensive they are, too, what a deal! I have to be honest here – I haven’t bought W&W products since I was probably 13, and they always seemed really cheap & crappy to me. 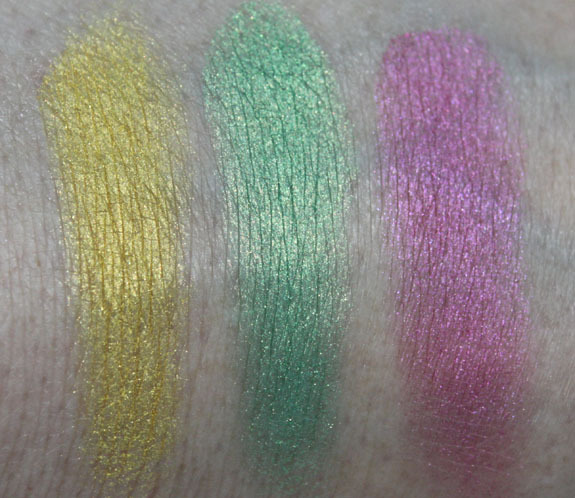 However, the pigment on these looks pretty damn nice, and for $2.99 I may just need to try some out!! 🙂 I really like Dancing in the Clouds and We’re Blasting Off. Oh Sara Squared, WnW has significantly stepped up their game in the past couple of years. I like the bright green liquid liner A LOT and the green eyeshadow trio is pretty killer. The seasonal collections are on trend. The lippies are usually always at least decent for the price. I’m really loving what WnW has been doing lately. I totally agree! I used to always avoid WnW like the plague, but all of these reviews have since changed my mind. It’s so nice to see such an affordable brand step up their game and put out great products! I want to see you create some looks with these!! 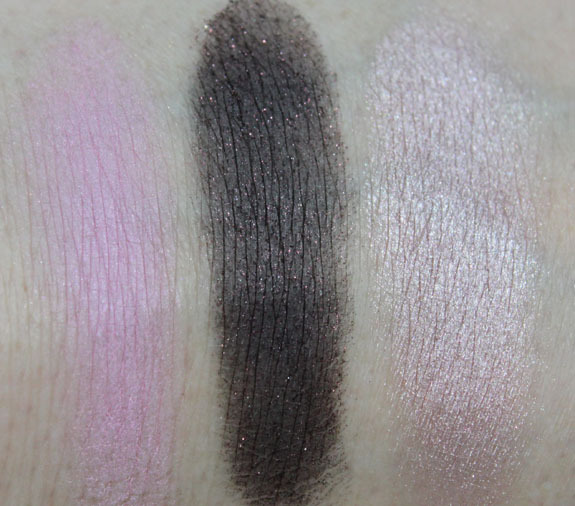 And I actually bought a W&W palette last year and was really pleased with the results. They’ve stepped up their game. I’m scrolling up and down trying to decide which color combo is my fave. I like them all!! If I had to choose one only, it would probably be We’re Blasting Off. They look so great! I really like Dancing In The Clouds and Earth Looks Small From Down Here. W&W. YES. I want Bright Idea, Dancing in the Coulds, and Earth Looks Small from Down Here. We’re Blasting Off is a maybe. I actually put the release date on my calender (seriously). I hope that I can find them! I must have Dancing in the Clouds! omg STUNNING mix! The purple looks like MAC Stars n Rockets a bit. Love the colors in the new collection! I can’t wait to get them! Thank for showing them! I love We’re Blasting Off! I just might have to track these down! At least they are such a great price! I love the red in Enter a New Realm. We’re blasting Off is really gorgeous. These are all pretty. It’s so awesome that you swatch these for us to preview. Thanks! And I would NEVER have given W&W a chance unless it were for these reviews. Like many I haven’t used W&W since the 80’s! i love the black with pink sparkles in we’re blasting off. so pretty. Omg a red! So excited I love them all! Must get my hands on these! 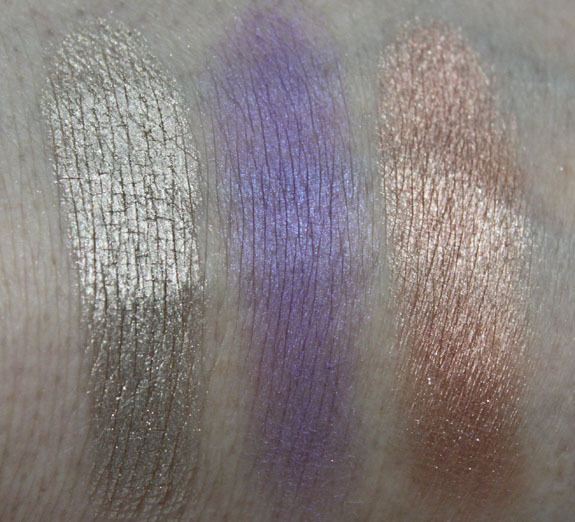 I better get my hands on these Wet n Wild shadows or, I’ll be Sullen n Pouty. 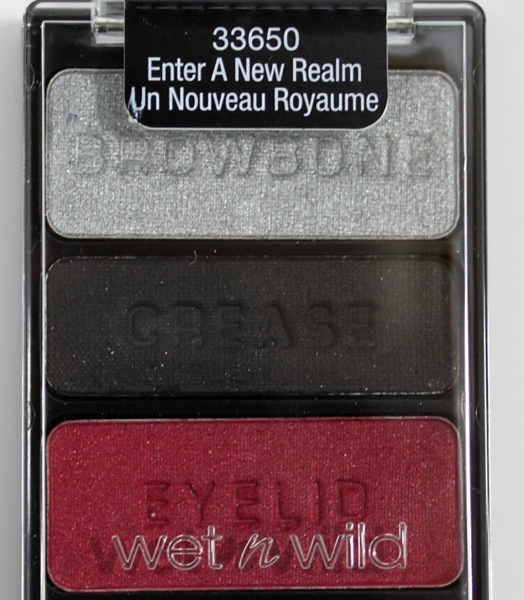 I cannot believe how awesome Wet N Wild has become lately (or is it that I am just noticing?). Like everyone else has said, I need ALL of these !!! 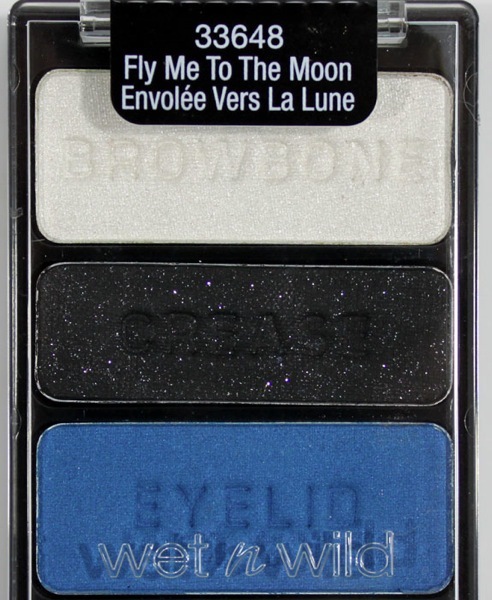 Very nice palettes- fly me to the moon has exactly Estonian flag colors- but the order is wrong. 😛 Right one from the top is blue, black and white. I’d buy Dancing in the Clouds if I found it but not the others. For $3 though I could cave. Want all of these. So many gorgeous colors. 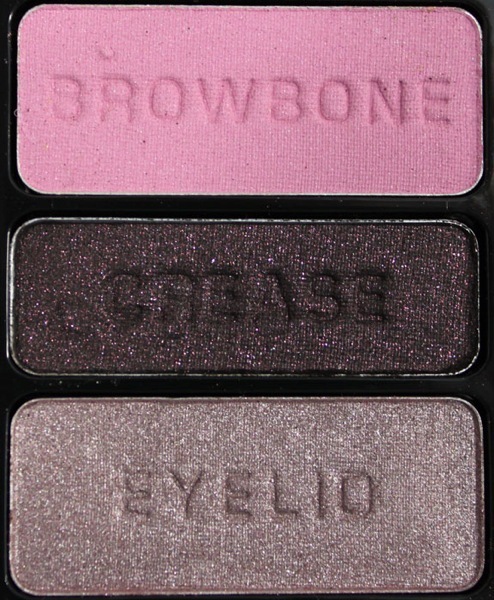 Those are nice, but I’d never use any of those “browbone” colors on my browbone!! I have to say these are impressive! I hope to see these in Canada when they do come out. I don’t see too much new W&W stuff restocked but the way the colors look OMG! So pretty. I have no idea which one I would choose, I want them all!!!! I’m dying to get my hands on this collection. 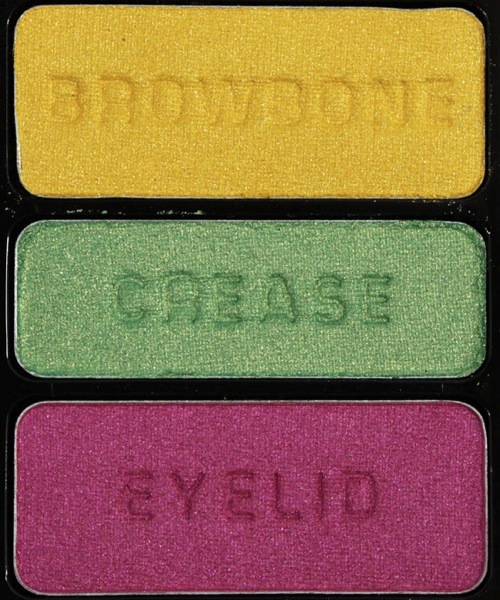 The bright idea trio looks like the shiseido tropicalia palette which I spent $33 on, woe is me. I’ve literally used that once since purchasing it, so i really wish i had gotten this instead. 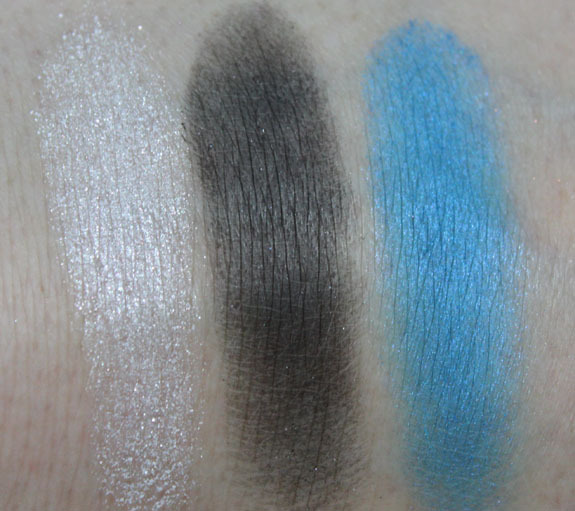 Oh, and i wish wet n wild would stop imprinting those shadows with Lid, Crease and Browbone. 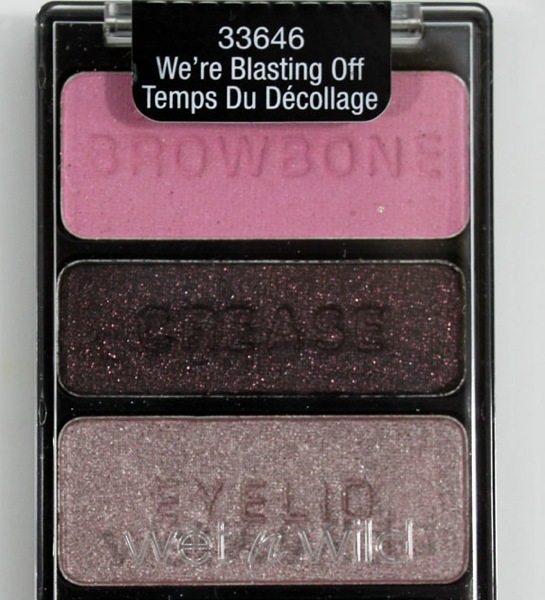 Usually the browbone shades would never actually work on the browbone, and I think it cheapens it a bit (lol, cheapening a $2.99 eyeshadow). Is there anywhere we can buy them online?? They are out this month, but not sure the exact date, so not all stores have them in possibly yet. I don’t think they will be online.